UPDATE: Our friend Matt Johnson from GGW explains what control cities actually are and how the names of certain places end up on highway signs. Before the InterCounty Connector opened two weeks ago, I've wondered what the exits along the new highway would be called, since much of its route through East County goes through places that are called "Silver Spring". Over Thanksgiving weekend, I got to drive the full length of the road for the first time, and I found my answer. There is a "Silver Spring" exit, at Route 29. 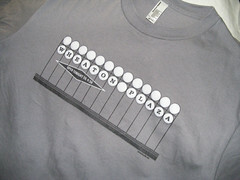 The Georgia Avenue exits are signed "Olney" and "Wheaton," which makes sense, as do the exits for "Ashton" and "White Oak" at New Hampshire Avenue. Things get weird at Layhill Road. There, you can go south for "Glenmont" or north for "Norwood." The American Association of State Highway and Transportation Officials (AASHTO), which sets guidelines for highway design throughout the United States, has rules for listing "control cities" on highway signs. I've never read them, but I'm of the understanding that control cities usually have to be of a certain size to appear on a sign. Also, I imagine that people have to acknowledge them as actual places that, you know, exist. Glenmont generally makes sense, because it has a Metro station and is generally recognized as a place, though I've never heard anyone say they "live in" Glenmont rather than Silver Spring or Wheaton. But Norwood? I'm less convinced. There's Norwood Road, which connects to Layhill Road, but I've never heard of a "Norwood, Maryland," and when I entered it into Google Maps, they sent me to Norwood, Massachusetts. OpenStreetMap, the user-generated map, took me to the intersection of Norwood Road and Layhill Road, just north of the ICC. So I looked at that junction and was even more confused. Google Maps calls it "Colesville". Go west on Norwood Road and you'll find the Sandy Spring Friends School, which not surprisingly gives its address as "Sandy Spring," but go east and there's Blake High School, which says it's in "Silver Spring." The Red Door Store today. Norwood at the time was known as Holland's Corner. Where the Red Door Country Store trades today, James Holland opened a store about 1860 and in 1889 became the first postmaster. Nearby was a scales and a smithy run by Lawrence Budd. All around stood fine homes: Snowden Manor of the Quaker Hollands, Llewellyn Fields, Plainfield, Woodlawn, and the home called Norwood. Map of historic Norwood courtesy of the Sandy Spring Museum. So, let's get this clear: Norwood was a house, then a post office. The village of Holland's Corner eventually became the village of Norwood around 1890. And today, it's either Colesville, Sandy Spring, or more likely Silver Spring. Given that convoluted history, perhaps the real question is what Norwood will be. Before Francis Preston Blair discovered the Silver Spring, the area around Georgia Avenue and Colesville Road was called "Simpsonville." The Sandy Spring Museum's website lists all sorts of places in East County that have been lost to the sands of time, like Oakdale and Cincinnati. With Norwood's newfound status as a highway exit, it doesn't have to go the same way. Who knows? In twenty years, people might say they live in Norwood rather than Sandy Spring, Silver Spring or anything else. Of course, it would help if the Red Door Store reopened. Norwood doesn't have much of a reason to exist without, you know, actual things to do there. In this case, Norwood is not a "control city." Control cities are used on guide signs. So for example, let's say you're driving north on I-270 at Montrose Road. A large sign with 4 downward-pointing arrows over the center of the freeway proclaims "I-270 NORTH / Rockville / Fredrick". In that case, both Rockville and Frederick are control cities. That's because they are shown on a sign guiding (through) freeway traffic. "Exit 5 / MD-189 Falls Road / Rockville / Potomac". This is not a guide sign, so the cities that appear on it are not control cities. (Rockville is (I believe) a control city, but it's not acting as such on an exit sign). They are provided simply to indicate which destinations can be reached from that exit. So, while Norwood might be a dubious name for this exit sign, it's technically not a "control city". Control cities are designated by each state, but they must be approved by AASHTO. They would not approve Norwood for a "control city", but they have no authority over what is shown on exit signs. Those designations make perfect sense to me because Glenmont is at one end of Layhill Road and Norwood is at the other. When we lived in Colesville I remember my mother making reference to the old country store out in Norwood. There used to be one of those in "Layhill" too, even after they built Plaza del Mercado. A long time ago I knew a bunch of kids who went to Wheaton HS and they always described where they lived as Glenmont rather than Wheaton. My parents also called it Glenmont when I was a small child. Glenmont was famous for having one of the very first MacDonalds. As you said, Norwood is definitely not what it used to be. Out in the countryside, even today, a lot of places have been given their very own names simply because they are at a crossroads, and having a store and/or a post office provides additional validation. There are a few very informative signs near the Norwood Road intersection with Layhill and Ednor Roads that provide some nice background about the store and the Underground Railroad route that passed through Norwood long ago. They even offer guided tours, I think on Saturdays. I've stopped to read all those signs but I haven't taken a tour yet. There's quite a bit of history there. Another way to look at it is that they put Norwood on there so all the old-timers (did I just call myself that? )won't get lost when they take the ICC, hahaha! Don't think Colesville is right, as that is considered the intersection of Randolph Road and New Hampshire Ave (MD-650). 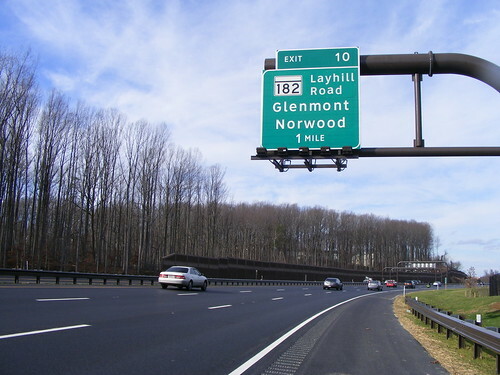 What destination would I have used for Layhill Road (MD-182) northbound? Sandy Spring. As someone who grew up in NJ, where pretty much every "town" is legitimately its own municipality and has its own post office, I found this article fascinating. Now I understand why all my friends down here always say they are from Moco or Hoco, but never mention the actual town they are from. 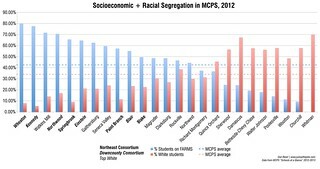 I would have to agree that Sandy Spring would have been a better choice than Norwood, but an even bigger issue is the short shrift given to Colesville (Randolph & New Hampshire) and Cloverly (Briggs Chaney & New Hampshire). Using White Oak over Colesville is questionable because it's not remotely close to the ICC and the vast majority of people would take 495/29 or 495/New Hampshire to get there. 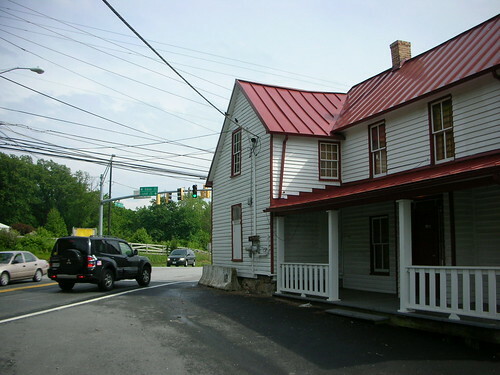 Colesville is a major commercial and residential area well know and in common usage among those that live and work there. Also, putting this on the exit sign might reduce the current confusion about where Colesville actually is among people from other parts of the area -- many mistaken think it is on Route 29/Colesville Rd. Using Ashton fails because very few people headed that far north would opt for the ICC over the back roads. Not to mention that the Cloverly area is closer and more densely developed and populated than Ashton. Did any of this ever get publicly disclosed and discussed or did some clueless official from elsewhere in the state just make arbitrary choices? Also, in regards to Ashton, those who did choose the ICC to there would much more logically exit the eastbound ICC at Layhill Rd., not New Hampshire, since Layhill is a much shorter route to Ashton with a lower toll. I'm trying to figure out anything about the Red Door Store? For instance, if I wanted to open a sandwich shop, who do I contact? The Red Door Store and the land around it are now owned by the Parks Department, which maintains it as a historic resource. A few years ago, they were trying to find a tenant to lease it to (presumably to reopen it as a shop), but I don't think anything came of it. Your best bet may be to contact the Parks Department (here's their contact info) or the county's Historic Preservation Office. At the least, they should be able to put you in touch with the right person. I hope that helps!